The subtitle of this blog is very intentional: A Yogi’s Journey Through Diapers, Detentions and Downdogs. 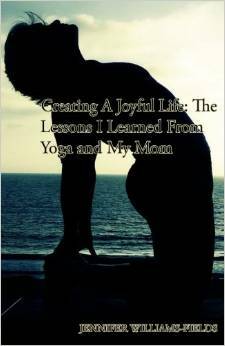 It’s my real life journey in search of yoga bliss. Notice the real life part. Yes I’m a yoga teacher/yoga student/yoga therapist and my “job” is to help others find both inner and outer peace with themselves. I think sometimes though people look at me and think just because I’m a yoga teacher I’ve got it all together and live a life of nirvana. Excuse me while I laugh out loud! At first I was a little confused. Why wouldn’t my son wear a typical teen t-shirt just because I’m a yoga teacher? Ohh, right, because I’m so darned enlightened that I must be raising six little Buddhas! I wonder if when the Buddha was a teen he got suspended for earning six dress code violations? Or if a pre-teen Ghandi chased his brother through the house trying to hit him with a shoe? Another night I was doing a late night grocery shopping trip before a busy weekend of work and trainings. My kids were going to be responsible for themselves most of the weekend, so I was stocking up on easy, convenient (and yes junky) food for them to fix themselves. Yep, busted. I let my kids eat junk food. Kick me out of the yoga teacher club. While we’re at it, kick me out of the good mom club too! Just because I place my mat in front of the room, I’m no more enlightened than you are. I don’t have all the answers and sometimes I’m not even sure what the question is! - then you have almost reached the same level of spiritual development as your dog.